If one compares Persepolis to the marvels of modern architecture it becomes clear: not that much has been achieved over the last 2500 years. The overall quality of the planning, construction and craftmanship in Persepolis is comparable to the achievements of modern architecture / construction with all its hordes of educated experts, computers and global experience. This wonder of urban planning was created to show off the might of the first Persian Empire – Achaemenid Empire. One of the best governed empires in the ancient world was the first Persian Empire – Achaemenid Empire (sometimes around 550 – 330 BC). This period was the zenith of Persian civilization, laying a firm basis for the identity and awareness of present day Iranians. It has left huge impact on world culture – also Western civilization. The empire in many aspects was a predecessor of Greek and Roman empires. Achaemenid Empire was founded by a man of extraordinary leadership abilities – Cyrus the Great and it replaced the previos regional power – the Median Empire. This was the largest empire in its time, stretching from the present day Lybia, Sudan and Greece to India and Uzbekistan. Achaemenid Empire was a multicultural empire with autonomy of satrapies (regions) and freedom of religion. 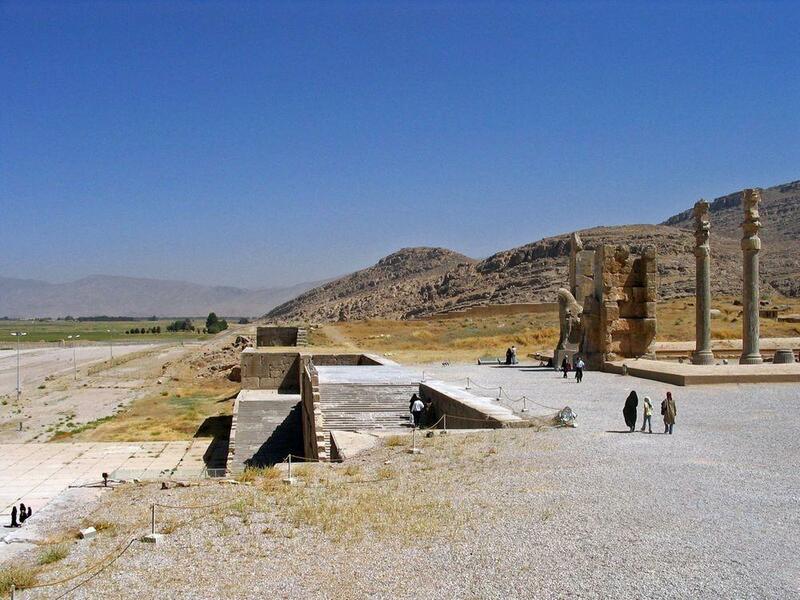 At the times of Cyrus Persians – recent nomadic people – only learned to build monumental structures. The end of the empire was brought by another distinguished personality – Alexander the Great, who conquered the capitals of Persia – Persepolis, Susa and Ecbatana – in 331 – 330 BC. The magnificent empire needed representative capital city for the ceremonies of imperial importance – and for this there was built entirely new city – Persepolis. In the times of Cyrus the Great (559 – 530 BC) Persepolis did not exist yet (or was rather insignificant) and capital was in Pasargadae. Nevertheless it is believed that this imperial city was the idea of this great character. Cambyses II (530 – 523 BC) – son of Cyrus was the next emperor. In his time capital of Persia was in Susa. Darius the Great (522 – 486 BC) is the true founder of Persepolis – the symbol of the Achaemenid dynasty. He was the next great leader of Persia and managed to strengthen and increase the empire. Darius introduced money – golden and silver coins, taxes adjusted to each region and legislation. In his time there were built 2,500 km of roads, connecting the regions of empire. In Persepolis he ordered to clear from cliffs the terrace and to build the enormous Apadana, Central Palace (Tripylon), Treasury and much of the infrastructure in the city and around it. Xerxes I (486 – 465 BC) – son of Darius, continued the magnificent construction projects in Persepolis. In his time was completed Apadana, the Palace of Darius and the Treasury. He also built his own palace – twice as large as his fathers palace. 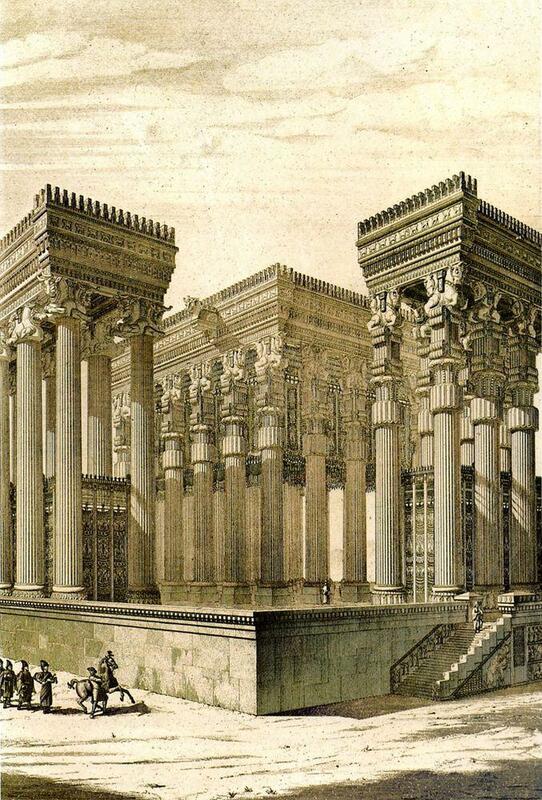 In his time the architecture in Persepolis became even larger and more luxuriant. Artaxerxes I (465 – 424 BC) – son of Xerxes – moved the capital of Persia from Persepolis to the ancient metropolis – Babylon. He introduced many faresighted reforms. In his time the main language of the empire became Aramaic instead of the former Elamite, Zoroastrianism became the main religion. When Artaxerxes died in 424 BC, his body was brought to Persepolis – what shows that the city had an important symbolic role anyway. For a few weeks the empire was governed by Xerxes II (424 BC) – son of Artaxerxes. He was assassinated soon after. There is rather little known about the next emperor – Darius II (423 – 404 BC). Artaxerxes II Memnon (404 – 358 BC) – son of Darius II – moved the capital back to Persepolis. He is remembered as treacherous and lewd ruler (f.e. he married several of his own daughters and had more than 115 sons from 350 wives), but he also loved to show off with magnificent construction projects – albeit none in Peresepolis. Zoroastrianism flourished in his times. Inhabitants of the empire had to pay one tenth of income to the nearest temple. In his time there started to appear images of gods – before it was considered that gods are not men and can not be depicted. In the times of Artaxerxes III (358 – 338 BC) – son of Artaxerxes II – the empire became less stable and experienced many revolts. By the end of his reign the true ruler of Persia was the vizier Bagoas – a "grey eminence" of the empire. In the times of Artaxerxes III there was ongoing active construction in Persepolis, but such magnificent structures as the Hall of Thirty Two Columns and the Palace of Artaxerxes III were left unfinished. Artaxerxes IV Arses (338 – 336 BC) was intended as puppet-king by Bagoas – but, as the young king tried to get rid of Bagoas, he was killed. The last emperor of Achaemenid Empire was Darius III (336 – 330 AD). Bagoas installed him as the emperor and soon after tried to poison him. This time the plot was stopped on time and Bagoas was poisoned himself. The empire was declining and the powerful and relentless armies of Alexander the Great were attacking from the west. Alexander the Great captured Persepolis in 331 BC or early 330 BC – this was done quickly, to catch the treasure in the city. Darius III was killed by his own statesman Bessus and his body was left on the road to delay the troops of Alexander. Alexander did indeed bring the body of the defeated emperor back to Persepolis and buried him with honour. Later, in May 330 BC Alexander though burned down the city, thus eliminating the symbolic heart of Achaemenid dynasty. Alexander the Great was a faresighted emperor and in many respects he continued the traditions of the great Persian kings – former enemies to Hellenistic world. After the death of Alexander in 323 BC his newly created empire disintegrated. In Persia was created the Hellenistic Seleucid Empire (312 – 63 BC). Lower city of Persepolis – below the terraces – was inhabited for some time period after the war – but not much more than a few decades. Since then this wonder of urban design has been abandoned – although it was used as a place of worship for several centuries. In the 19th century started the first excavations – initially looking for valuables but then also – with scientific purposes. Beautiful drawings of the reconstructions of this ancient city were made by French scientists Chipiez Charles and Georges Perrot in the late 19th century. Jane and Marcel Dieulafoy visited Persepolis several times in the late 19th century and brought first photographs back from the site. Famous researchers of Persepolis include Ernst Herzfeld (1931 – 1934), Erich Schmidt (1934 – 1939) and André Godard (1940s). 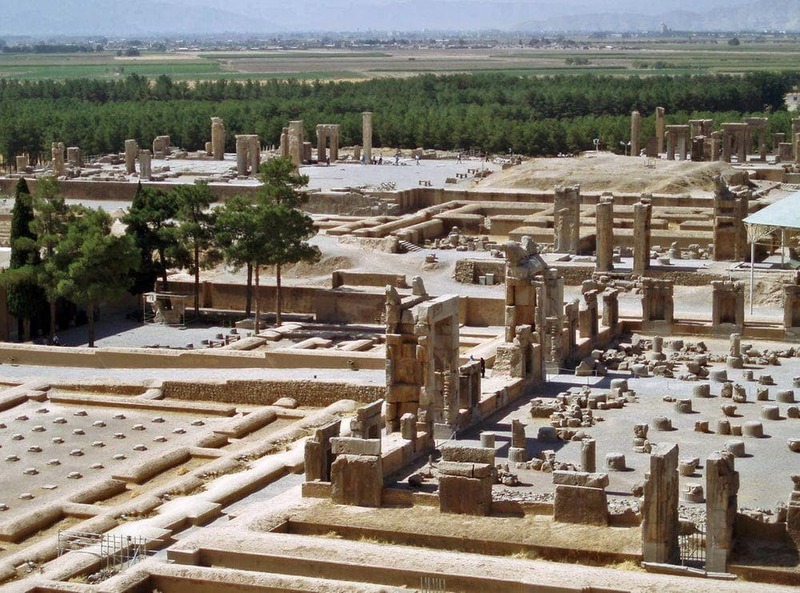 After the Iranian Revolution in 1978 – 1979 the fundamentalists ordered to bulldoze the site and only in the last moment ruins of Persepolis were saved by the initiative of local people. The research is on-going, there are made thorough restorations of the site. It is expected that new, large structures will be found here in the future. Persepolis (from Greek language – "Persian city") was built to impress and to show off the might of the largest empire of the time. Everything here was planned in smallest detail to create a special atmosphere of superior power and refinement. Craftsmen, artists and materials were brought from all regions of the empire to build the city. Persepolis was built by paid workers – slavery was forbiden by Zoroastrianism. 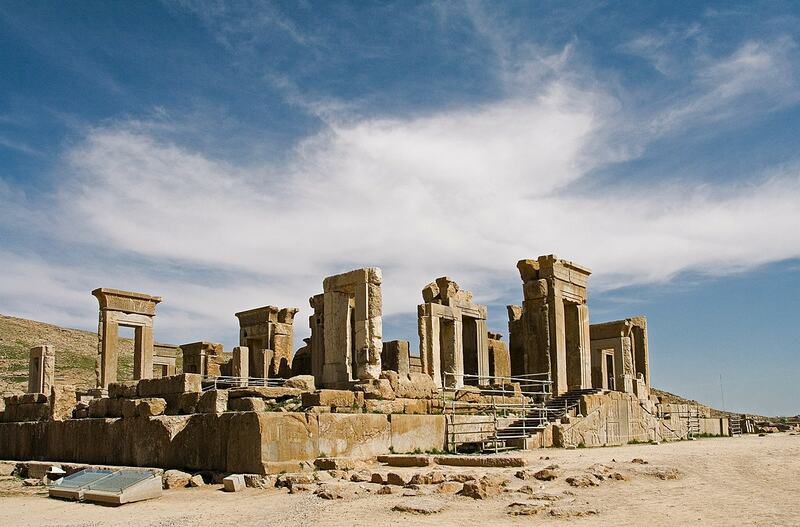 Achaemenid architecture is luxurious and impressive – and this is well seen in Persepolis. Persians melted diverse styles of the art from different regions of empire, creating a distinct imperial style. Well seen is the Greek (Ionian) influence – palaces in Persepolis have typical Greek hypostyles and porticoes, columns are thin and tall, with barrel ribs. 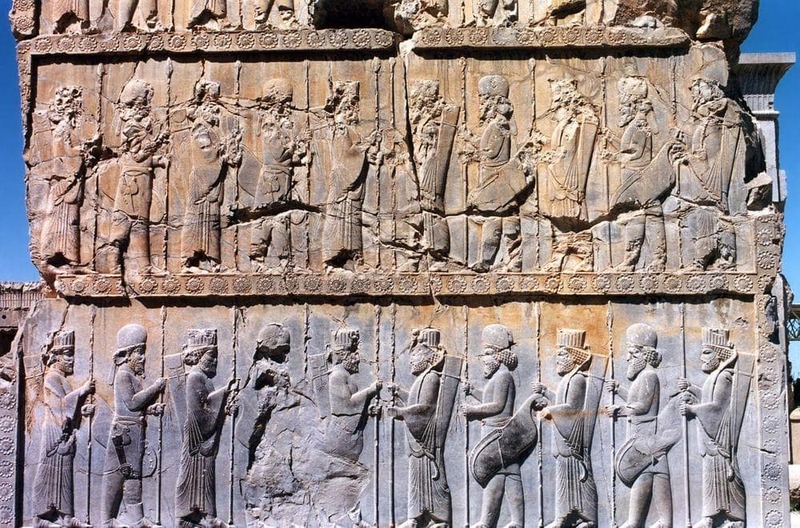 The role of Persepolis in the life of Persian empire is not entirely clear. 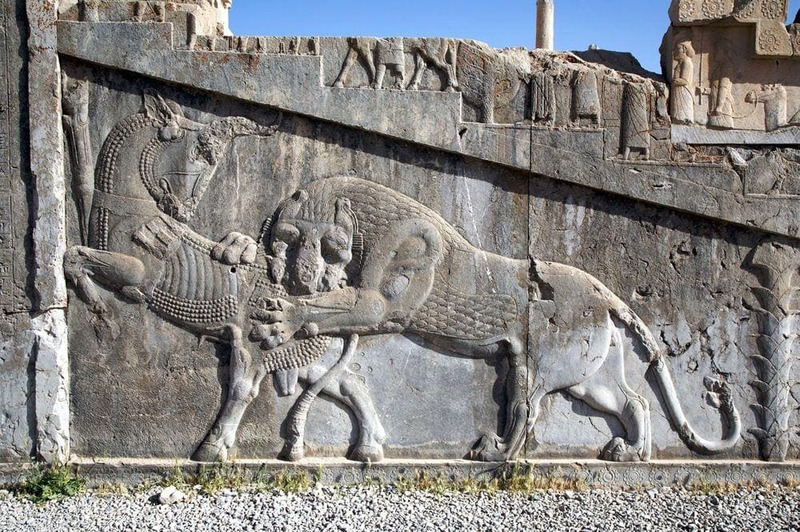 Although it seems that Persepolis was the symbolic and administrative heart of the Achaemenid Empire, several more cities served as capitals of empire – such as Susa, the great Babylon and also Ecbatana – winter capital. Persepolis was rather little known outside Persia. Basic structures in Persepolis were built from grey limestone. Notable and luxurious stone structures though were built of dark marble. 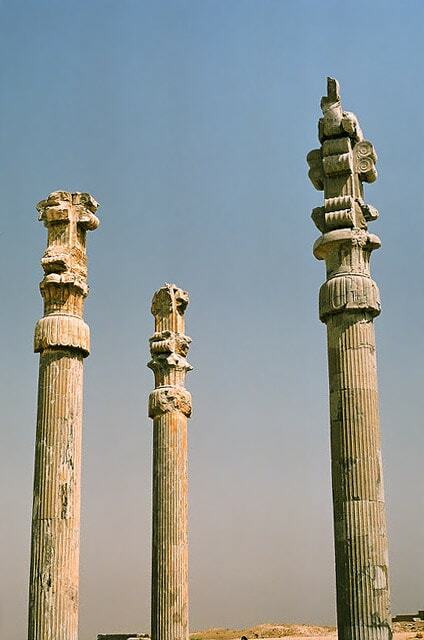 The columns in Persepolis were built of wood. Builders tried their best to get the largest known trees (cedars of Lebanon) to build the impressive structures. Only the largest columns – in Apadana and Propylaea – were made of stone. Although the city experienced significant ravage after the capture by the Greeks and has been abandoned for 2300 years (! ), magnificent ruins remain here. 15 enormous pillars stand since these times and several more have been reerected. Even the foundation where the city stands, is amazing. This 125,000 m², 450 m by 300 m large (17.5 soccer fields) terrace is artificial – half hewn in the cliff and half built. The terrace is fastened by 5 – 13 m high walls. Below the ground are built tunnels for sewage. Aerial photography shows that Persepolis had intricate underground water supply system of quanats – sophisticated underground canals. One of the first structures in the new city, construction started in 518 BC. This gargantuan structure has 111 steps, each only 10 cm high, 6.9 m wide. First structure after the staircase was 25 by 25 m large hall with magnificent entrance. It most likely was built by Xerxes I sometimes around 475 BC. Western gate of the structure still is adorned with 5.5 m tall sculptures of oxes. The hall had four 18.3 m tall columns, formed like palms. Building has engraving in three languages – Old Persian, Babylonian and Elamite – also other structures in Persepolis have such inscriptions informing about the builder of the structure. The greatest palace in Persepolis, built by Darius I and Xerxes I in 515 – 475 BC. Palace was used for official audiences and could host up to 10,000 people! Grand hall of the palace was 60 by 60 m large, with 72 ornate columns, each 19 m high (13 remain standing). Columns were holding the heavy roof of this enormous structure. Apadana, without doubt, contained art values of huge importance. Now we can see just scarce remains of these values – remnants of wall decorations with diverse bas-reliefs. External facades were adorned with the carvings of the brave Immortals – Persian elite troops. The building originally was painted in gaudy colors. Second largest structure in Persepolis is the Throne Hall – imperial army’s hall of honour. The construction of this 70 by 70 m large building was started by Xerxes and completed by Artaxerxes I. The remaining ruins of the building are covered with valuable bas-reliefs, showing the scenes of the emperor’s heroic accomplishments. This representative building initially was used for military ceremonies but gradually turned into a museum of Persian Empire. Throne Hall was severely damaged by the fire – only the base part of the building remained. This small palace was built as an audience hall of Xerxes. This palace was started by Darius I and completed by Xerxes I, then extended by Artaxerxes III. This palace stands on live rock and uses the highest part of the terrace. The central hall had 36 wooden columns. The purpose of the southern part of building is not entirely clear – it might have served as an annex to Treasury. 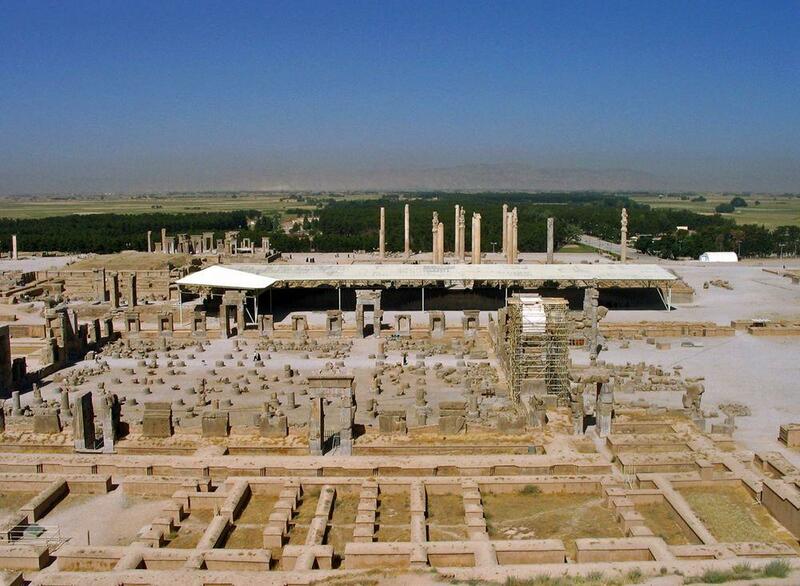 Persepolis / In the forefront – Garrisons, then Hall of Hundred Columns and further – Apadana. Started by Darius I in 515 BC and finished by Xerxes in 480 BC. Consists of a series of rooms, where the two larger rooms had 100 and 99 wooden columns. This enormous building had only two small entrances. 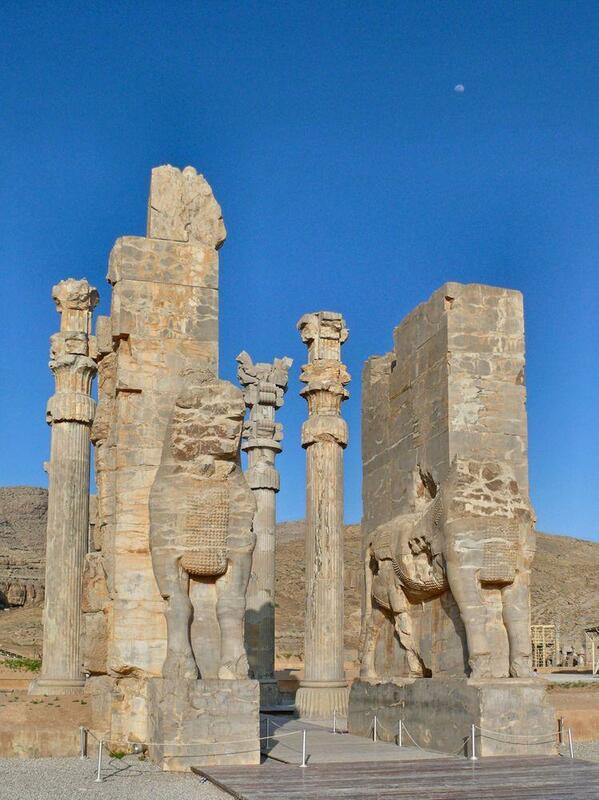 Alexander the Great managed to capture Persepolis with Treasury intact. According to Plutarch, there were needed 5,000 – 10,000 camels to bring the treasure away. This complex of multiple rooms was the house for the servants of Persepolis and for guards. In these premises were found some 30,000 tablets with cuneiform writing – their decipheration is ongoing. Paradoxally these tablets have been preserved by the great fire, which hardened them. The purpose of this large complex of premises is not entirely clear. There is only a guess that this was the place where the women of Persepolis lived. These premises could have served for administrative purposes as well. Two of the most important Achaemenid emperors have been buried in Persepolis – one could be Artaxerxes II and another – Artaxerxes III. Tombs are cut in the hillside of Kuh-e Ramat mountains. Nearby there is another, unfinished rock-cut tomb – supposedly intended for Darius III. 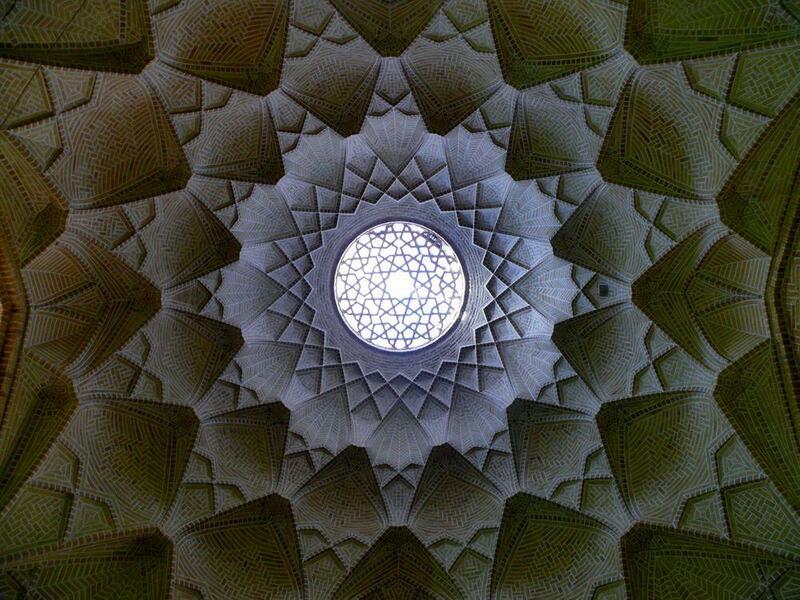 Iran is one of the most exciting countries of the world regarding the man-made heritage. Here developed some of the most ancient civilizations of the world, ancient people living in Iran developed writing and different technologies. Urban infrastructure of many ancient desert cities in Iran in some aspects is unsurpassed even by the modern standards. There have developed distinct, local architectural styles with exquisite, special techniques of ornamentation. 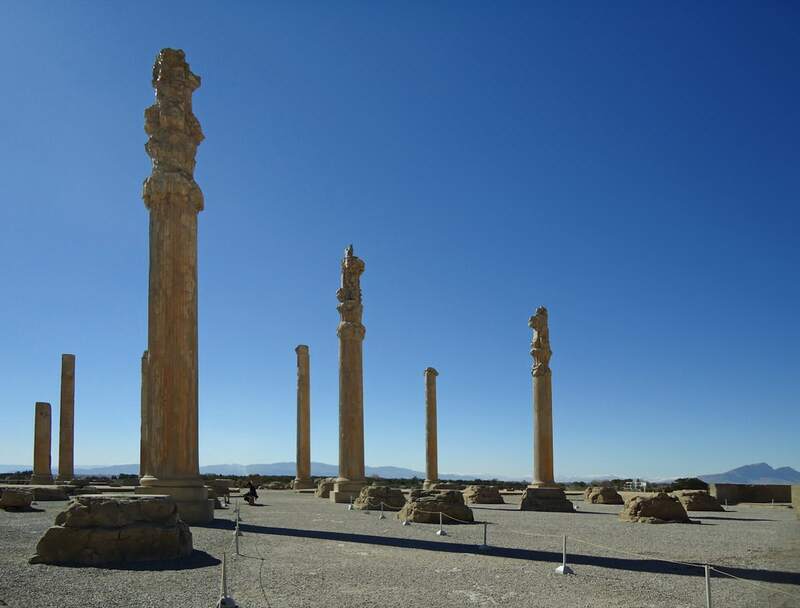 Lying in the middle of a plain in modern day Iran is a forgotten ancient city: Persepolis. 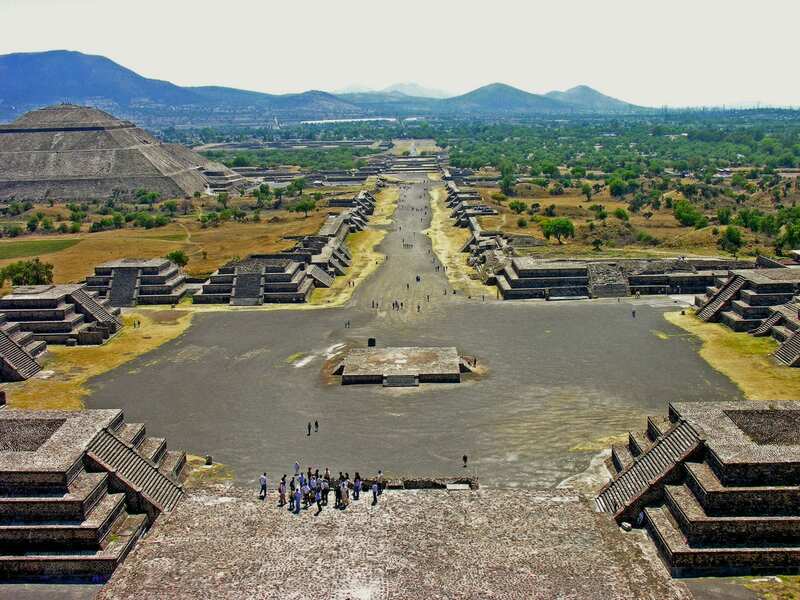 Built two and a half thousand years ago, it was known in its day as the richest city under the sun. Persepolis was the capital of Persia, the largest empire the world had ever seen, but after its destruction, it was largely forgotten for nearly 2,000 years, and the lives and achievements of those who built it were almost entirely erased from history. 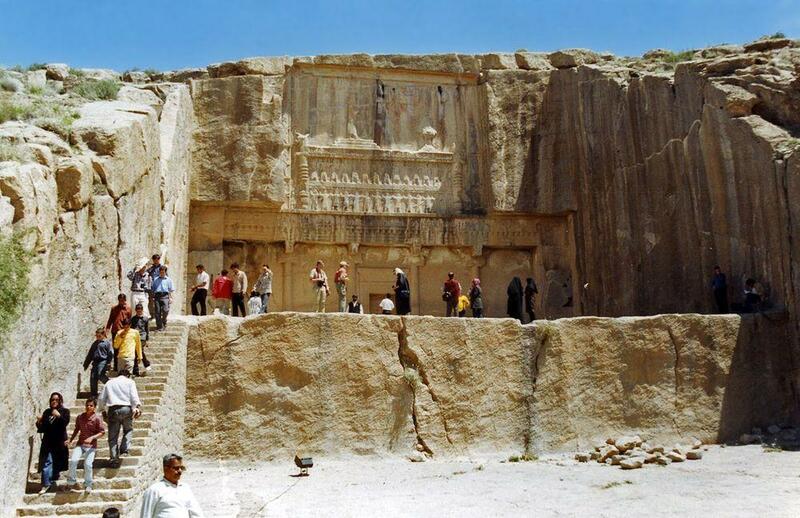 The Persepolis by Donald N Wilber is an important book for information on this Persian archaeological site.